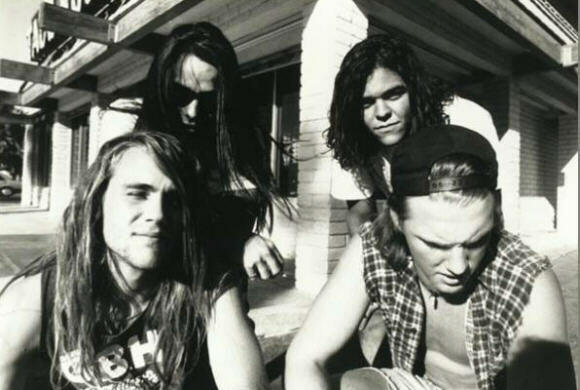 Tonight i get to live out one of my teenage wishes and see Kyuss perform live. 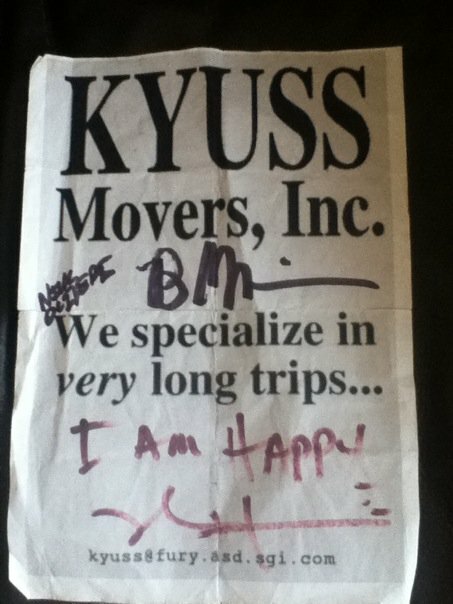 Yes, tonight the good ship Kyuss flies into Glasgow, albeit minus the one and only Josh Homme, as part of their “Kyuss Lives” 2011 reunion tour and i for one couldn’t be more excited. They were easily one of the most influential bands for me when i was growing up. I loved everything about them. The legendary desert generator parties, the fuzzy feedback, the riffs, basically i (and still do) pretty much idolised Josh Homme. But whilst him not being there tonight will slightly dampen the experience i get the feeling that tonight will still be everything i imagined and better. The effortlessly powerful vocals of John Garcia, the unique Brant Bjork and the frenetic bass of Nick Oliveri will make sure of that. 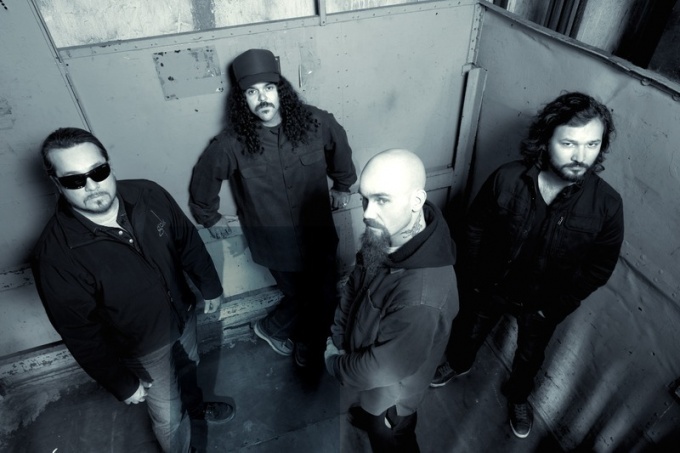 This is the “Kyuss Lives” line up…including replacement guitarist Bruno Fevery. I hope i get the chance to complete my poster too. Hello and welcome to the Someones In The Wolf blog. As you may have guessed i am the someone who is inside the wolf. That someone plays guitar, synth and the occasional bit of drums. But more recently that someone has got involved in another side of music. Mixing, cutting, remixing, re-cutting etc. And i thought this blog would be the perfect way to get things out. By things i mean remixes i’ve done, songs i’ve done (Kohlstream), songs i’ve done with my bands (The Gorecki and Subdigital) and songs that a few other people have done. Some famous, some not so famous. This page will be used for various different types of posts and for all different kinds of musical related stuff and maybe even the odd piece of “visual art”. The posts will consist mainly of my own remixes and mixtapes of my favourite people, bands, DJ’s, robots and wolves. But i will also be posting random music that i’m into at the time…..depending on how bored i get i’m going to post all different kinds of fun lists and mixes including some of my favourite artists. *WARNING* Don’t be alarmed if you see the occasional bit of promoting for any of the following ………. My favourite bands are the following (not in any order)…..
Anyways, enough about me and thats definitely enough ranting for the moment, here’s a picture of me just so you know what you’re getting yourself into…. ….bear in mind that i haven’t shaved for a few days.